A 661MB download. 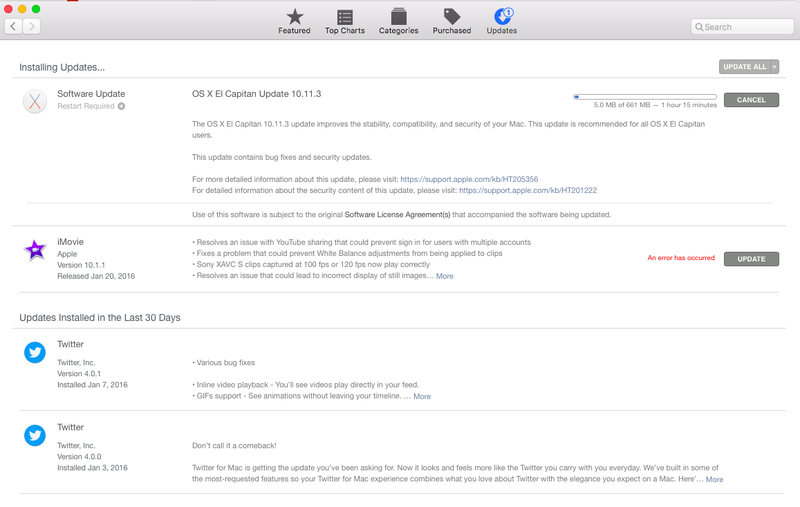 The OS X El Capitan v10.11.3 Update is recommended for all OS X El Capitan users. The OS X El Capitan v10.11.3 Update improves the stability, compatibility, and security of your Mac, and is recommended for all users.